Once you introduce the topic of Italy to a group of wanderers, you are guaranteed to experience dreamy stares from almost everyone while they are recalling their memories from this beautiful country. This is probably because of a number of reasons that include the remarkable art and landscapes, trendy fashion and the most popular Italian cuisine. The country has so much to offer and it will definitely take a lifetime to explore and experience it. You may ask a bunch of travelers or bloggers where to travel and you will get varied answers with mixed feelings. There isn’t a proper answer to this question since every corner of the country will impress you every time you decide to explore it. Though sometimes it is beneficial to have a check at the ‘must visit’ places before you enter the desired location. Here is the list of the best places to visit in Italy. Known as the city of the lily, Florence is one of the most famous places in Europe for being the cradle of the Renaissance. For many centuries, it has been capturing the imaginations of various travelers with the phenomenal art and architecture. A walk along the Arno River with a breath-taking view of the sunset has never disappointed. Having known to be the birthplace of Renaissance, you do not want to miss the world’s greatest gallery of Renaissance art (Galleria Degli Uffizi). You do not have to be a fan of sculpture to visit the Bargello which offers numerous beautiful rooms for applied arts. Apart from this, it also offers a vibrant culture and amazing nightlife which makes it a long weekend destination. Venice, a city which never loses its ability to fascinate the travelers. No matter how you have seen it in movies and pictures, the real experience is more like a dream than you could ever imagine. There is a reason why it has become so popular: canals built where streets should be and water shimmers all over the place. In any season, you will be surrounded by lively neighborhood vine bars, fabulous palaces, churches and the museums that offer unique glories aplenty. 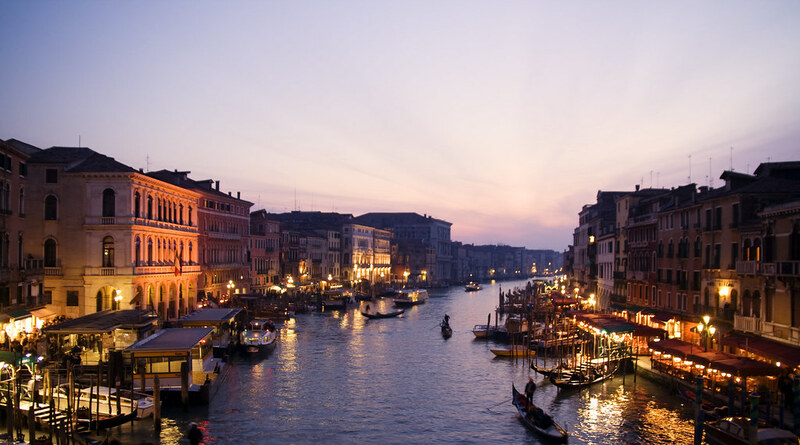 Watch the gondolas from the Rialto Bridge and visit the souvenir shops under the arcades. While you are exploring the narrow alleyways in this city, you will probably end up in Piazza San Marco which is called as the drawing room of arts by the Napoleons and meet tourists and locals for a coffee. Italy’s hot-blooded capital is also known as the world’s most romantic and inspiring cities. Living in the present, no other city in the world evokes on its past with a huge amount of pride. For about 2500 years, there have been emperors, artists, the pope and common people leaving a mark in this city. The treasures of the Vatican City, churches with fine architecture and the archaeological remains from the ancient Rome will surely grab your attention. But Rome is also popular for practicing the Italian perfected IL Dolce Far Niente (sweet idleness). There are plenty of UNESCO world heritage sites – the Colosseum, the Pantheon, and the Sistine Chapel that recalls the city’s golden age. You cannot miss the Vatican’s epic showpiece church St. Peter’s Basilica which is a towering masterpiece of the Renaissance architecture. The city also offers neighborhood trattorias and sleek coffee bars that enhance its irresistible quality. The main draw that makes this city a must visit destination is its pulsating energy which makes us live life as a form of a theatre. Known to be the city of the future, Milan is a fast-paced metropolis where creativity is often witnessed, looking fashionable is somewhat essential and after work drinks are an art form. It has the biggest international airport, the best subway system and most rail connections which makes it Italy’s transport hub. Not only Milan is a trove of the treasure of the 20th-century art, it is also bounded by the art deco and rationalist architecture. Leonardo da Vinci’s the 'Last Supper' as well as the amazing Gothic Duomo, the finest of its kind is here. A trip to Milan is incomplete without visiting the Piazza del Duomo. The city offers something for everyone. Fashionistas can start strolling by the Gucci-toting beauties. Sporting enthusiasts will march towards the San Siro stadium and you will find La Scala Theatre filled with the opera lovers. There is a misconception about Milanese being unfriendly and work-obsessed. Visit Milan bars and you will figure out that their real obsession lies in having a good time. With its rustic farms, beautiful driveways, and towns connected to almost every hill, this city is the romantic image of village Italy. It produces some of Italy's finest wines and olive oils. Once you have visited Tuscany, you shouldn't miss the afternoon exploring the vineyards at the Tenuta dell’Ornellaia estate in the coastal region of Maremma as well as the 700-year-old Masaccio frescoes of Adam and Eve that decorate the 14th-century Brancacci chapel in Florence’s Santa Maria del Carmine church. This city offers a combination of amazing art filled, historic towns which is enough to have a lovely time to fill the long weekend. One of the most piercing destinations of Italy, Amalfi coast is considered to be an outstanding example of a Mediterranean landscape by UNESCO. For centuries, it has attracted poets and millionaires to sense its legendary sights. During the summer, festivals enlighten the road stretching from the Bay of Naples to the Gulf of Salerno making it the ideal time for the travelers to explore the Amalfi Coast. 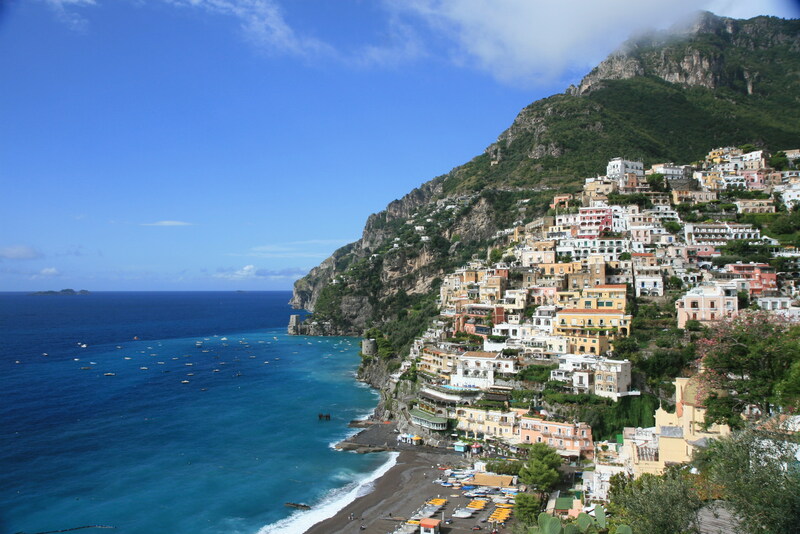 The entire area including the famous mountain – high Ravello, ancient Paestum and most perched Positano is also considered to be a preferred honeymoon destination. It also has one of the most beautiful beaches in the world but the main attraction lies in the hidden caves and picturesque spots such as Marina di Praia. Many travelers have considered it to be a land of unmarred beauty.